The 2-part adapter fits on the arm of the MediKin. 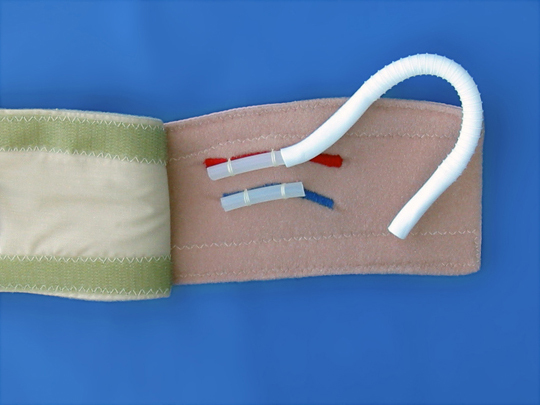 External skin layer can be lifted to show an artery and vein connected by gortex grafting tubing. This 2-part adapter fits on the arm of the MediKin™ teaching aide. 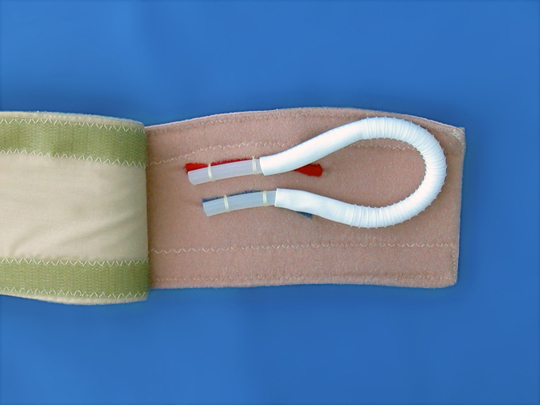 External skin layer can be lifted to show an artery and vein connected by gortex grafting tubing.